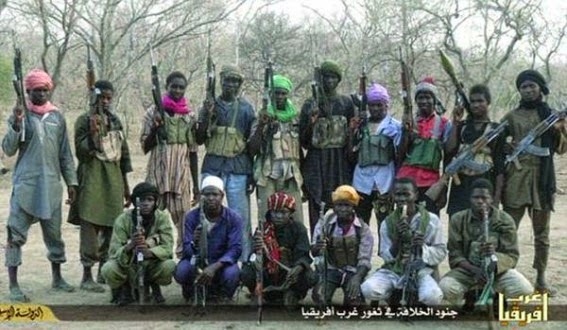 Barely 24 hours after Muhammadu Buhari was sworn in as the President of Nigeria where he vowed to subdue the militant group, Boko Haram, the terrorist group launched an attacked on the ancient city of Fika and Ngalda community of Yobe State, North-east Nigeria. Fika is 150km West of Damaturu, the Yobe State capital and shares common border with Gombe State to the South. Witnesses said that the militants first launched attacked at Ngalda, the Yobe/Gombe boarder town before proceeding to attack Fika town, the headquarters of Fika Local Government Area (LGA). They explained further that during the assault, the terrorists burnt down the LGA Secretariat, the Magistrate Court of the area, as well as the torching of the Divisional Police Station. A top police officer confirmed the attack in an interview with Channels Television, noting that the attackers who came to the two towns between the hours of 7:30pm and 9:00pm, also attacked and looted several shops and went away with several food items. He also said that the militants came to the areas in two Toyota Hilux vans and left with several motorcycles. The Chairman of Fika LGA, Baba Abare, confirming the incident, said that the militants came to the two towns shooting sporadically to scare people away so as to have ample opportunity for their looting. He also said that they targeted shops and looted several food items as well as beverages but no life was lost during the assault. The Yobe State Police Commissioner, Mr Markus Danladi, who decline comment on the violence, said that the Military Joint Task Force is the only body that is authorised to speak on such matter. Fika and Ngalda communities have suffered several cases of Boko Haram assault since the commencement of the insurgency, as the communities also share common border with Gujba and Gulani Council Areas captured by the militant group, but liberated few months ago by security forces.